Since 1999 the Inflight Institute has been one of the worlds most trusted airline training schools! Most Flight Attendant training schools only show you how to get an interview. 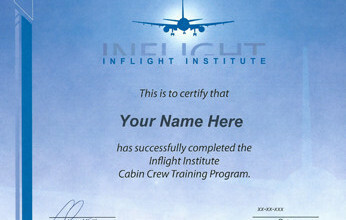 The Inflight Institute will provide a complete and comprehensive airline training experience ONLINE. Our programs include the same topics and high quality courseware that we deliver to our airlines, so you know you are getting the relevant experience airlines are looking for. Inflight was founded in 1999 by Mr. Ivan Noel. His vision was to allow potential Cabin Crew a chance to experience a "virtual" airline ground school to enhance their chance of success. Our founder noticed that a significant percentage of students, within airline's ground schools, were not succeeding. This was due to a lack of preparation and knowledge. His vision was to help students. After a particularly memorable and heartbreaking failure of a student, he declared “We must do more as an industry to ensure students are prepared for ground school”… and the Inflight Institute was born! Since then tens of thousands of students have succeeded with the help of the Inflight Institute. Internationally recognized aviation professionals create all of the Inflight Institute’s programs. We are trusted and work with many of the world’s national and international airlines on a daily basis. We are directly connected to the aviation industry and are known as world leaders in the industry. 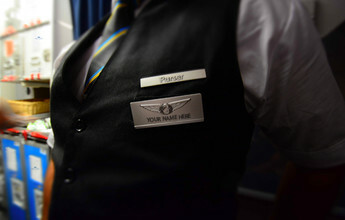 No matter wherever you live we can help you to become a Flight Attendant! Many factors play a part in you becoming a crew member. In addition to personality, ability, and customer service experience - knowledge is critical to your success. The Inflight Institute is designed to provide you with that knowledge. Let us help you with the rest! And many others — meeting the strictest aviation regulations in the world!